We want to read books, when it’s little bit sad and lonely. There begins conversation with authors made characters, conversation with an angel and a demon in yourself. The second verity is that we really don’t choose the books, but they choose us. The real book come like a sign, like answer on your questions, they come in the right time, when you can give to it enough attention. Book starts with reflection about freedom from nuptial tie, from lasting relationship weekday routine, where every couple, without exception, sinks, only how successfully handles with it every of them , it’s directly this story about. Protagonist’s wife suddenly disappears; he’s at a nonplus and fights with two different feelings. Freedom feeling, which allows to not to legislate with other, make love, celebrate life, with time outgrows in deep loneliness feeling, and Zahir (from Arabian – present) appearance in man’s life. For two years he tries to untangle Esther’s disappearing, he sees her on street in different women, hears her voice and lingers in his memories. 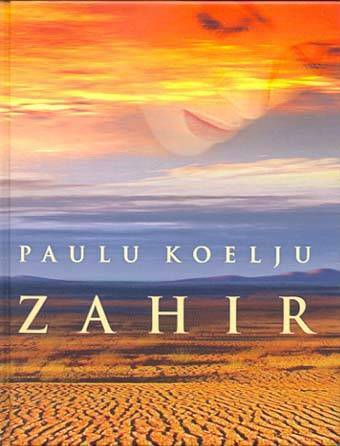 He starts living together with other woman, but Zahir, like he calls his wife’s character, becomes obsession. Story is about love way, which is needed to be gone, that you knew your life friend again. It can be physical way, for example, to far Kazakhsteppevillage, and mental way, which concludes complete refusing from past and complete opening for love energy. Author it compares with byUlyssesrevoke tohisPenelope. But I need to say, that it is creative and strong although doubt tortured humans, artists, philosophers, writers, priests, shaman way and not for every human understandable and walked. I have read many books, but especially in this, is very much from Paulo himself life and personality. It brightly was observable after reading his life story in AlexanderMironenko article "Towards encountered signs" (Lilit 2011 April number). But like author says, what other can real writer write, like about himself.